Ships tomorrow if you order in the next 16 hours 29 minutes. 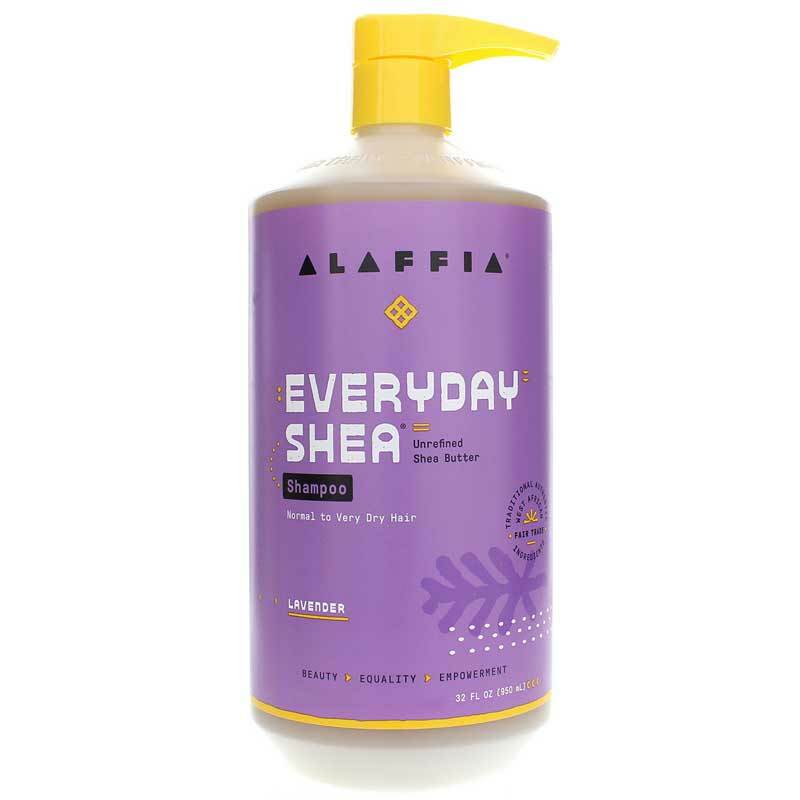 Lavender Everyday Shea Moisturizing Shampoo from Alaffia is a paraben-free, natural shampoo with unrefined shea butter, virgin coconut oil and antioxidant shea leaf extract that cleans thoroughly without stripping natural oils from the hair. Bicycles for Education: Since 2006, Alaffia has distributed over 4,000 bicycles to disadvantaged students in Togo to encourage them to stay and succeed in school. Maternal Health Care: Each year, Alaffia provides pre and post natal care to 700 mothers to help reduce the high maternal death rate in Togo. Reforestation and Environment: Alaffia plants 8,000 trees each year with rural farmers to prevent soil erosion and prepare for the unpredictable effects of climate change. Alaffia Cooperatives: Alaffia Cooperatives provide steady, fair incomes, health care and empowerment to women in Togo, West Africa. Apply to wet hair and massage into a rich lather. Rinse thoroughly and condition with EveryDay Shea Moisturizing Conditioner for best results. I am disappointed to write this shampoo smells great but did not clean my hair. My hair felt very greasy and dirty after showering, worse than it had prior to showering. I've been using Alaffia shampoo and conditioner for close to 10 years. It's a trust worthy natural product, coconut and shea butter based, never palm oil. Leaves a nice clean scent, never perfumed. Lovely company ethics too.